So, as everyone probably knows, today starts Brewfest! 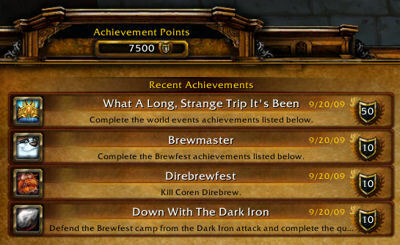 And, with Brewfest, comes achievements, violet proto-drakes, and pets! So this is probably the best day of the year for me. So I started with the two easiest achievements - eating and drinking! I then continued on with another two easy achievements - since I already had three pieces of Brewfest Regalia from previous years, I just had to dance drunk in Dalaran, port to Shattrath and then jump off a bridge. 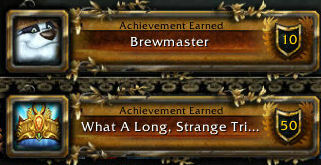 So I was left with just two achievements for my awesome Brewmaster title! First up, I defended the Brewfest grounds from the Dark Iron Dwarves and then we went to get even more revenge on them by entering into Blackrock Depths and defeating Coren Direbrew. And with that, What a Long, Strange Trip It's Been was complete! So with the proto-drake, I have now reached 100 mounts! 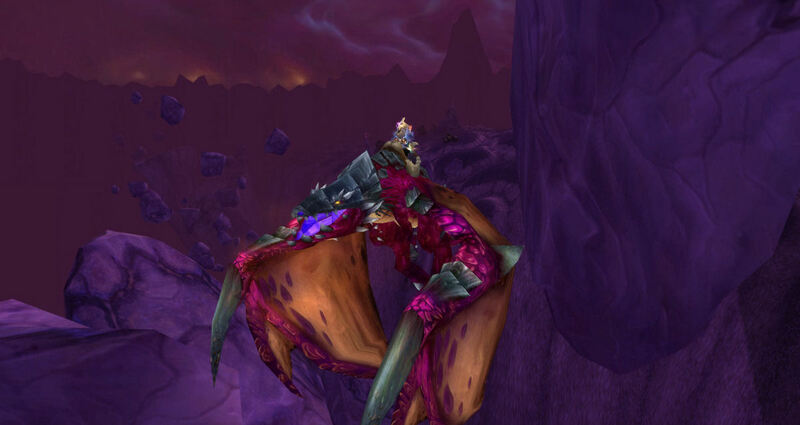 And of course, with 100 mounts, comes a reward of a 101st mount! So I now sit at 101 mounts. So there are my 100 mounts, however, before learning my 100th mount, I checked my achievement log, and there I sat, at 7500 points exactly. Such a beautiful number. But my 100th mount achievement takes me to 7510. Of course, with Brewfest, comes an all new pet! My very own Pint-Sized Pink Elekk, my 121st pet. Just 7 elude me still. They will be mine!